Education is the only chance to break the circle of poverty, ignorance and disease. 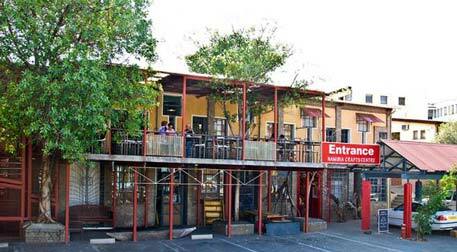 Windhoek has more than 200 000 inhabitants of which 60% are living in impoverished circumstances. More and more people are moving to surrounding areas of the capital in the hope of finding a job and a better life. 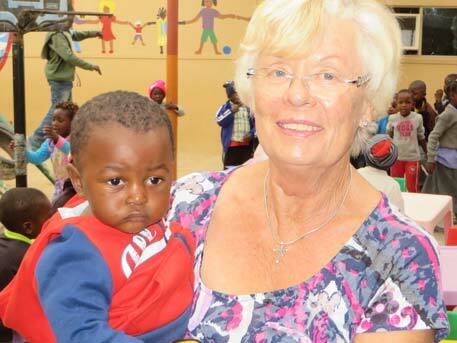 Notwithstanding, Katutura is also the name of an extremely successful aid organisation, which was initiated by the dedicated nurse and director of the Namibian Red Cross Jutta Rohwer and a group of local women in the beginning of the 1980s. 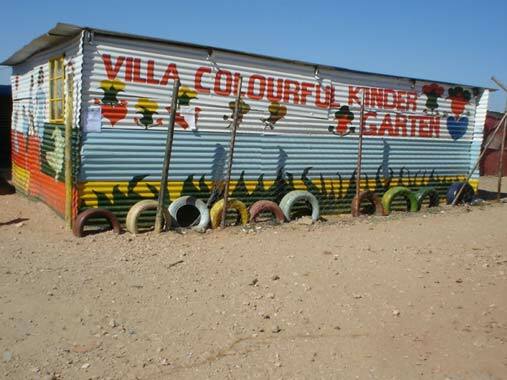 A school feeding project, a welfare office with a community hall, a day-care centre for children in Katutura, centres in Rehoboth and Ovamboland - the auxiliary activity of the Katutura projects developed over the years to become a national humanitarian Organisation, which was financed through the Deutsch-Namibische Gesellschaft and many private donors. 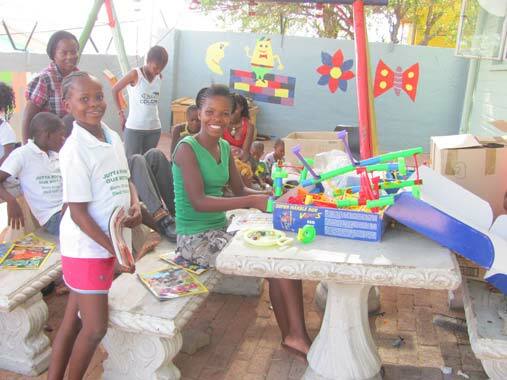 The Association today supports an orphanage, a soup kitchen, play schools, school feedings and also runs two handicraft workshops for single women, whose products are sold in the Namib Craft Center in Windhoek and in the Swakopmund shop "Kubatsirana". Viele kleine Leute an vielen kleinen Orten, die viele kleine Dinge tun, können das Angesicht der Welt verändern. With this African proverb, Jutta Rohwer concluded her speech of thanks after the Bundesverdienstkreuz am Bande was bestowed upon her by the then German ambassador Dr Hanns Schumacher on 10 December 1995. To change the face of the earth, to make the world more friendly, humane and just, this is what Jutta Rohwer lived for. Jutta Rohwer, born Knapp, was born on 1st of April 1941 in Thüringen, where she spent the first nine months of her life. In 1950 she succeeded in escaping to the German Federal Republic – without her father, who only came back from Russian imprisonment as a late returnee. She finished Secondary School, attained the Cambridge Certificate in Englisch and was trained as a nurse in London. In 1964 she visited her sister in Windhoek, where she met her future husband, Jochen Rohwer. They were married on the 19th of March 1965 in the Christuskirche in Windhoek. In October 1966 and in October 1972 their daughters Anja and Nadja were born. Between 1964 and 1978 Jutta Rohwer worked – with short intermissions - as a nurse at the Catholic Hospital. Some friendships with the older generation, among others with Sister Berlindes, are rooted in this time and are still held in deferential recollection. From 1980 till 1992 Jutta Rohwer worked for the Red Cross, until 1986 as secretary, afterwards as director. 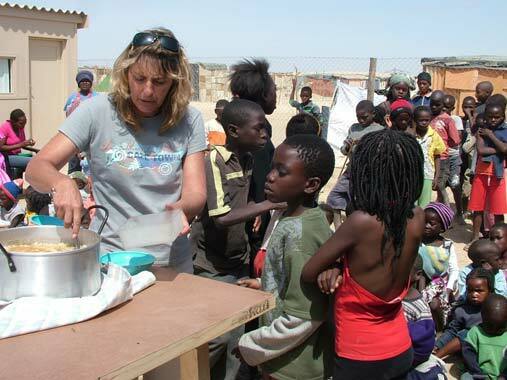 During this time she brought into being her first projects: the feeding of up to 8500 school children with a warm meal, the Red Cross Welfare Office with a Community hall, both stationed in Katutura, the Khomasdal Centre for Elderly People the Spitzkoppe Centre, the Red Cross Day-Care Centre for Children in Windhoek, the Centres in Rehoboth and Ovamboland. In 1991 Jutta Rohwer was honoured with the Special Award for her humanitarian engagement by the Institute of Marketing Management. Two years later she was one of the founding members of the Oasa Taradi Women-Cooperation, a kind of home industry for traditional handicraft. 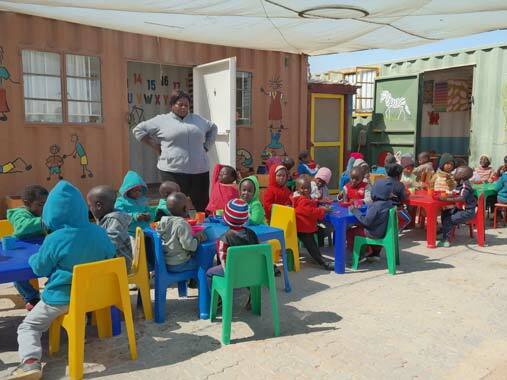 Thereafter she focused on the establishment, supervision and maintenance of play schools in Okahandja Park, one of the informal settlements of Katutura. Aside from that Jutta Rohwer initiated projects like the Dolam Children House, the Oponganda Centre, the Special Olympics, the Aids Orphans Trust, the “Brückenschule“, the School Funds and the Aids Women Group Okahandja Park. The setup of another soup kitchen and a soccer field in Kilimanjaro, the second informal settlement in Katutura, was her last achievement. On 16 January 2009 Jutta Rohwer passed away after having een severely ill. Her deeds live on forever. With the passing away of Jutta Rohwer, who supervised all projects locally, her ventures were all of a sudden challenged. Luckily Anja Rohwer took over the legacy of her mother and is now busy to commit herself to the continuity of all social engagements. Anja was supported in this by her father the first few years since he was familiar with the activities of his deceased wife. Even Anja’ s daughter Menzona is busy following in the steps of her grandmother and mother. „Many minor people at many minor places doing many minor things can change the face of the earth! “ This was Jutta Rohwer’s motto, which her daughter and granddaughter took to heart as well. „Three women – one heart for charity“ one could say about the Rohwers – and without them, there would be no perspective for the poorest of the poor. 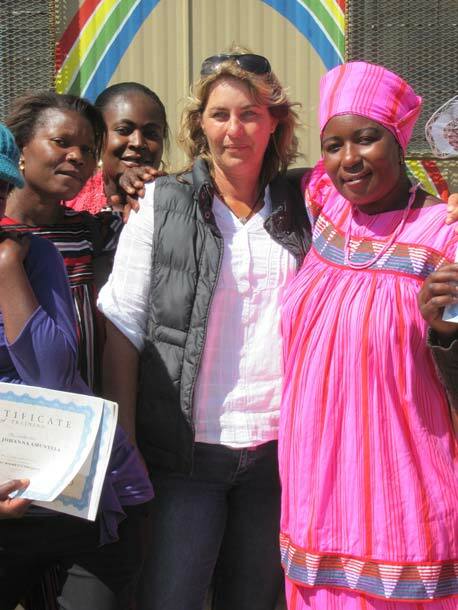 I became acquainted with the projects through Jutta Rohwer, a friend of my mother. I support the projects since 2002 through a calendar, since I am convinced by the work of Anja Rohwer and also because I find her work worthwhile to be promoted. The calendar has been released in cooperation with Mr Peter Spätling since 2005. Every year 600 calendars are issued. The proceeds from the sales are used to finance the projects. Furthermore, I buy products, which were manufactured as part of the projects, for instance, embroidery, items made from pearls, dolls, silk scarfs and other small items, which are sold at various events and markets. I also give lectures in order to gain some donations. Finally, I am the contact partner for any enquiries regarding the Katutura projects in Germany. Many of the people living here are jobless and for various reasons addicted to alcohol. The children particular are the ones suffering from these living conditions. Apart from the illness of HIV/AIDS and the lack of medical provision, the lack of proteins and vitamins cause malnutrition. The worst off are children and the youth. The women-self-help-project renders caricatural work. Through purposeful instruction, a formal education and manual skills are conveyed and people are taught to help themselves through this. 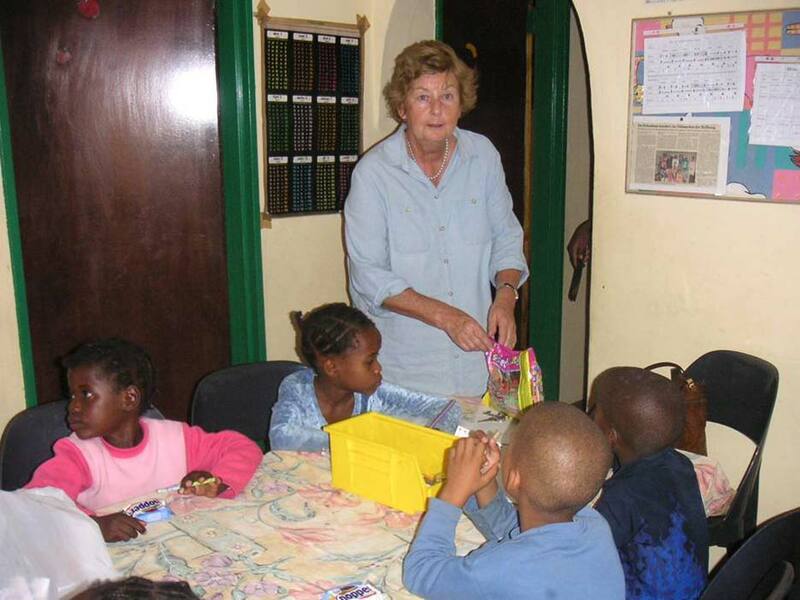 The Orphanage Orlindi – place of safety – was established in 1995 by Claudia Namises and was approved and registered by the Namibian government. Educatioon is the only chance to find a way out of this misery. As a result, some courageous mothers have converted their houses into play schools. 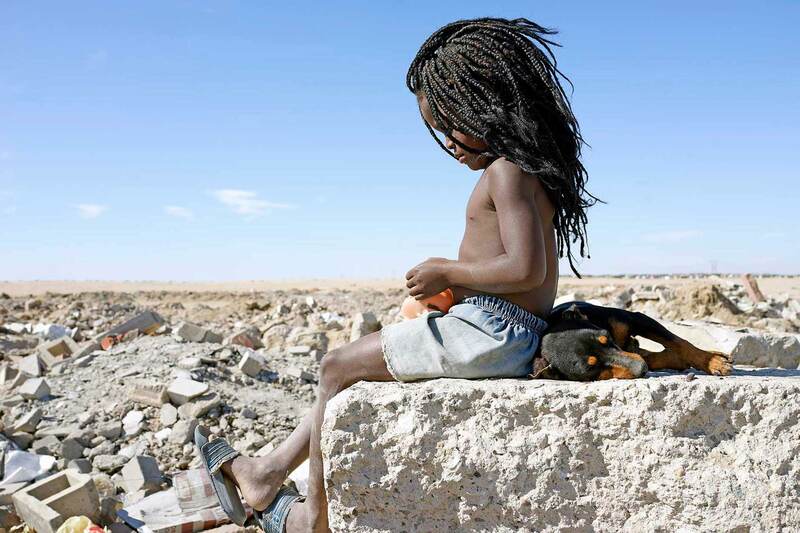 Kubatsirana is a Namibian non-profit outlet, whose aim is to provide direct and immediate help to communities, women and children living in informal settlements outside Windhoek and Swakopmund. People from different cultures express their skills in creating these crafts to continue generating an income for themselves. Our outlet carries a diverse and impressive range of artwork, embroidery, contemporary and tribal art, baskets and much more. These Art and Crafts mainly reflect Namibia’s wonderful culture, warm people and remarkable heritage. Our shop provides wonderful souvenirs for a small gift for a friend of your holiday. Your continued help and support provides the inspiration for their futures. 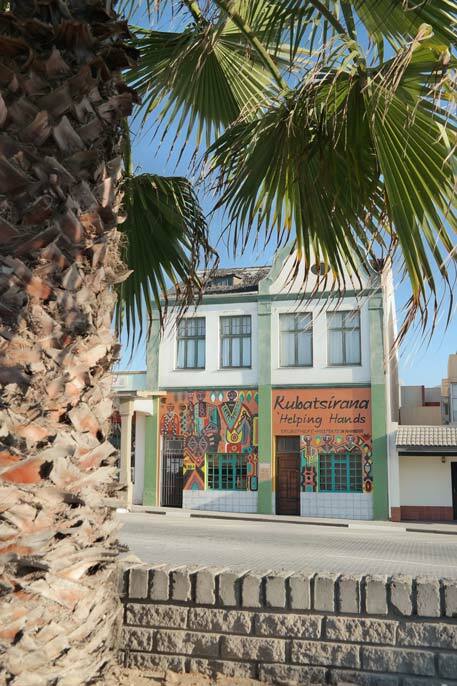 The Namibia Craft Centre provides retail space to approximately 40 craft enterprises who hail from distinct communities, ethnic groups and projects, providing a platform for Namibian handicraft from jewellery to carved tree roots. Centrally situated in Tal Street in the Old Breweries Complex with enclosed parking, the Centre is easily accessible for drivers or pedestrians. Expertly woven baskets, carved Makalani kernels, stylish San ostrich-eggshell jewellery, richly-dyed wild silk scarves, Himba bracelets, attractive handmade paper, hand-woven carpets, striking textiles and colourfully embroidered linen; the Namibia Craft Centre is a treasure-trove of colour and craft, a collection of Namibian items epitomising the country - the character and essence of its intriguing cultures, its large blue skies and endless landscapes, its wildlife and wonder. It’s Namibia (conveniently) under one roof. 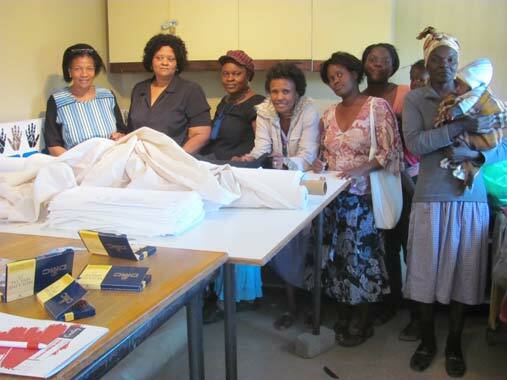 The Craft Centre supports jobs to more than 4,000 crafters and their families in some of the most rural and marginalised areas. Support Namibian micro and small enterprises. 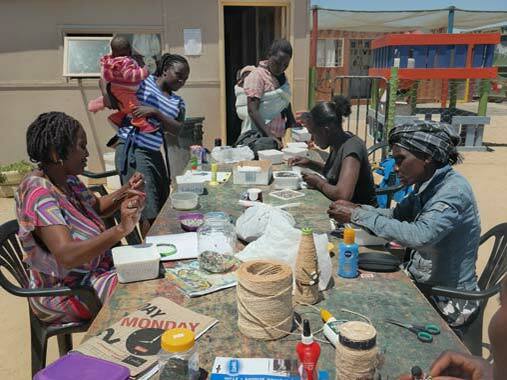 Contribute to poverty alleviation through the sale of Namibian craft. Over 4,000 producers and their families derive an income from sales of their craft. Support Namibian design and product development. Our large ranges of products are uniquely Namibian and excellent quality. Support sustainable utilization of Namibian natural resources. We encourage use of environmentally friendly products. Buy Namibian - THANK YOU FOR SUPPORTING THE NAMIBIA CRAFTS CENTRE! !